The scuzziest, grungiest slice of fuzzy psychedelic hip hop, that also manages to be one of the sharpest hip hop singles ever. 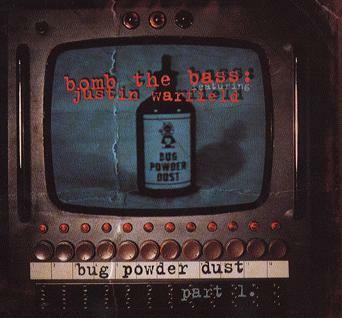 A collaboration between left field freak Justin Warfield (who had already produced the classic ‘Fishermans Grotto’, and Bomb The Bass virtuoso Tim Simenon (who gave the worls, among other treats, ‘Beat Dis‘), it is a timeless piece of pure hip hop electro beauty. Everything that is good about music can be found in hip hop and everything that can be good about hip hop is saturated into this track. Plus it uses Burroughs and his ‘Naked Lunch’ as source material. Although it is now 15 years old, time has not dulled its lustre and age has not wearied it.